Seal Beach, California is located just south of Long Beach and north of Surfside Colony and Huntington Beach. If you want a small town feel of the beach with fewer crowds, then you found the right place to explore. 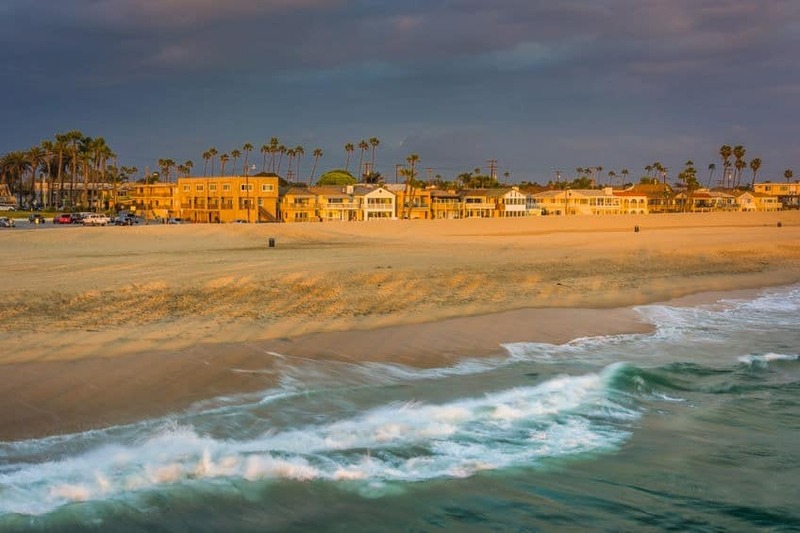 The city of Seal Beach was incorporated in 1915 and is home to over 24,000 residents. If you like water sports like surfing, paddle boarding or swimming, you can do it all right here in Seal Beach, California. Wake up in the morning in your Seal Beach home and go to Main Street for breakfast or coffee. Enjoy the peaceful feeling you get as you view the ocean or smell the ocean in the morning. There are over 24,000 people who live in Seal Beach. The city which was incorporated in 1915. About 2 miles inland in Seal Beach is Leisure World, a gated active adult retirement community. The city of Seal Beach is home to the US Navy’s Naval Weapons Station, which was in charge of storing ammunition for US Navy warships. Surfing can be enjoyed along the north side of the pier year round. To learn to surf, check out M & M Surfing School in Seal Beach. Local surf shops in the area include Harbour Surfboards and Bruce Jones Surfboards in Sunset Beach. Check out the height of the waves as you start to walk down the pier, at the lifeguard station/police station on the beach, you can see a board on the beach with surf conditions. 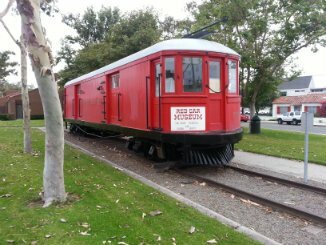 Visit Electric Avenue off Main Street to see the Red Car Museum which features a Pacific Electric Red Car Railway. The Red Car was a part of a mass transit system that used streetcars, light rail, and buses. The tracks use to pass through Seal Beach south to Newport Beach and north to Long Beach and other cities in Los Angeles County. 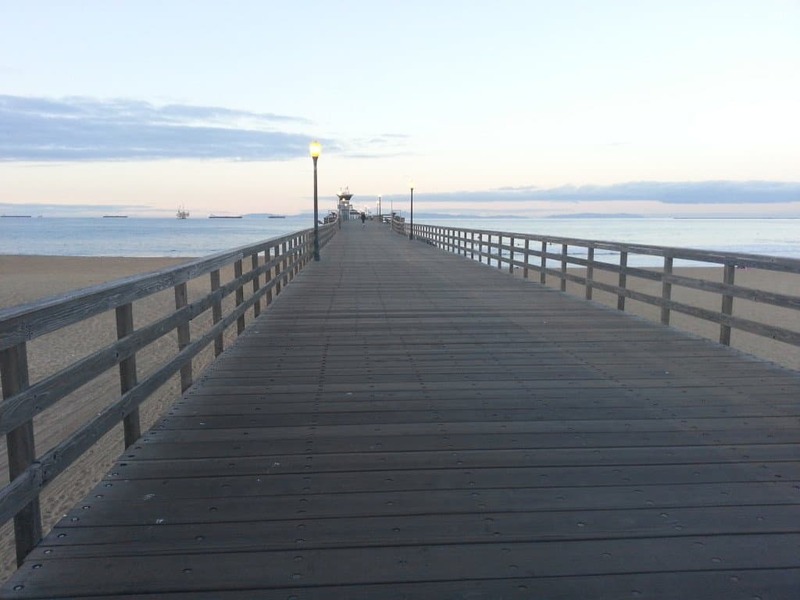 Old Town Seal Beach – is the neighborhood closest to the beach in Seal Beach and near the Pier. The area covers streets around Main Street and homes just west of Pacific Coast Highway. View all of the homes for sale in Old Town area updated hourly. River Beach neighborhood community of townhomes located area is located west of Pacific Coast Highway, north of 1st street and east of Marina Drive. River Beach Townhomes – located about 1 block to the sand. There are 80 Seal Beach townhomes in this community. The Hill Seal Beach neighborhood just east of Pacific Coast Highway and north of Seal Beach Blvd. This neighborhood is close to the beach like Old Town. You can bike, drive or walk to the beach from this area. “Bridgeport” is a Seal Beach neighborhood with affordable homes within blocks of the beach. The area is just south of Pacific Coast Highway, west of 5th Street, north of Marina Drive and east of 1st Street. I have some clients that live in this Seal Beach neighborhood and love it. The luxury Seal Beach homes in Heron Pointe, a gated community in Seal Beach, California 90740. Future New Seal Beach homes coming in 2019? Perhaps. Find homes for sale in Seal Beach in the College Park West neighborhood just north of 7th Street and east of Studebaker Road. View pictures, maps, and Seal Beach real estate details of all homes for sale in College Park East neighborhood just east of the 405 freeway. I just had a client purchase one of my listings in College Park East in 2018. Seal Beach is currently under the Los Alamitos School District. Younger students (K-5) go to McGaugh Elementary School in Seal Beach. High school students go to Los Alamitos High School. Let’s get together and talk about your real estate plans. This free 30 to 45-minute meeting give you insights into the home buying or selling process. We will give you a free copy of our popular Jay Valento’s Home Buying Guide or his Get Your Home Sold Guide. They are both a 50-page booklet of tips and strategies to make a good investment authored by 25-year real estate veteran, Jay Valento. Simply call Jay Valento of Realty ONE Group at 562-413-7655 or 800-300-6126. Friendly, helpful conversation about your real estate plans. We look forward to meeting you and answering your questions about Seal Beach homes or other cities.